Budding young chefs will feel fully equipped with this delightful Pink Kitchenware Set from Bigjigs Toys. 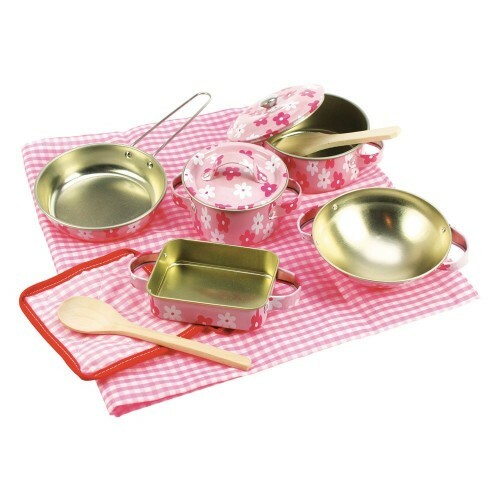 This 11 piece set includes five pots and pans, two wooden spoons, a gingham table cloth and serving mitt. All of the pieces have been scaled down to make it easier for little hands to grasp and use when cooking up a storm! A great way to teach children about kitchen safety, as well as healthy eating, especially when combined with the Bigjigs Toys Play Food (sold separately). Ideal for parent/child interactive play sessions. 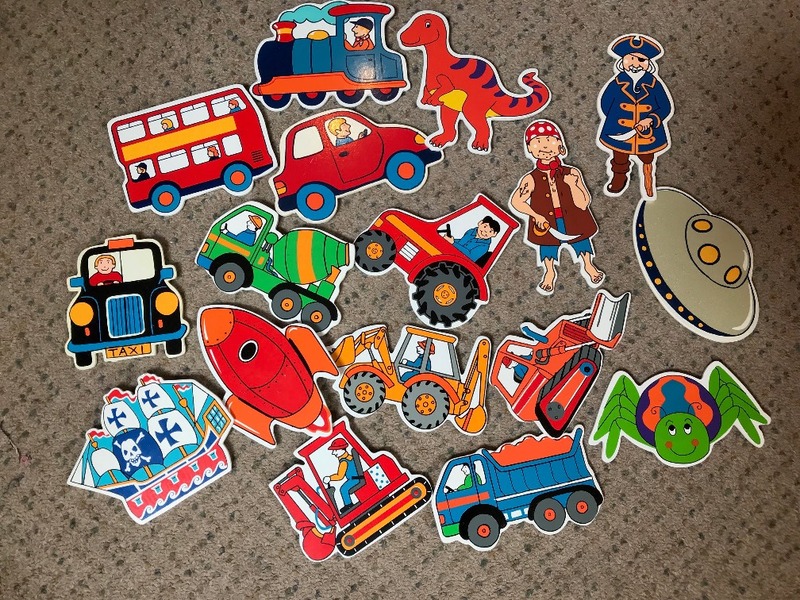 Encourages creative and imaginative play. 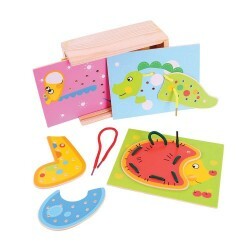 Develops hand/eye coordination, fine motor skills and dexterity. Conforms to current European safety standards. Age 3+ years. Width: 590mm, Depth: 590mm. 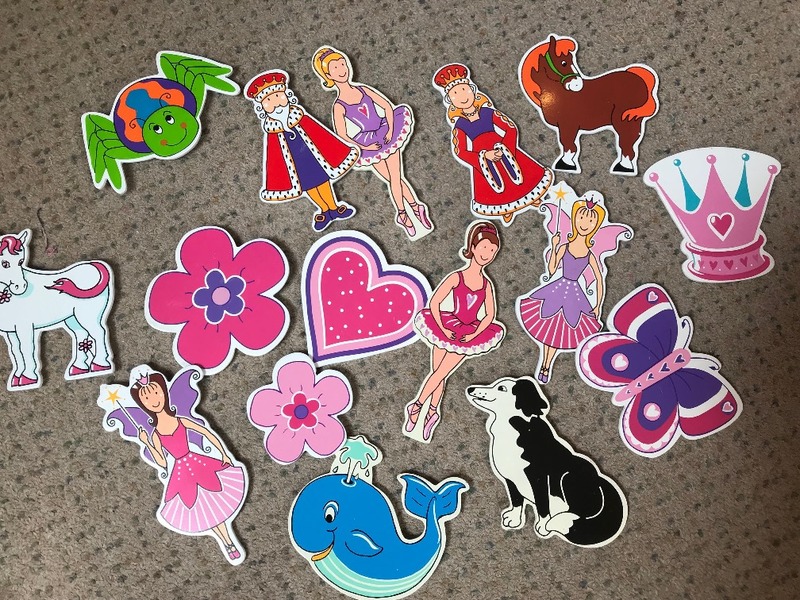 Consists of 11 play pieces. 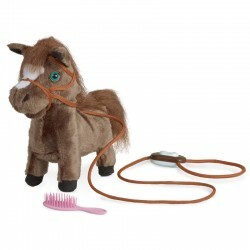 Plush pony toy with a range of animated features. 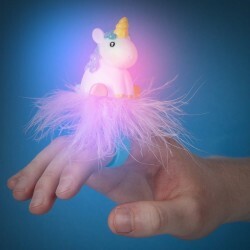 Push the button on his long lead rein and this lit..
Unicorn Flashing Ring (Colours May Vary)DescriptionKeep an extra big dose of unicorn magic with you .. 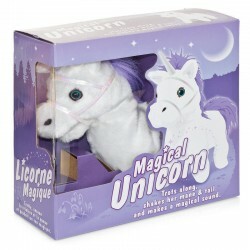 MAGICAL UNICORNMagical Unicorn plush toy that walks, moves its tail and neighs with sound effectsPlu..